Wow. Two posts in a month. Y’all better watch out. I’m on a roll. My to do list from my brain dump is progressing rather slowly. I have managed to clean a majority of the house (at least the parts people besides me actually see) and put together a decent outline of a sequence unit for Honors Algebra 2. I’ve also read a couple of books and watched 4 seasons of Downton Abbey. Last week I attended the AP conference in Philadelphia. I have thought quite a lot about how to revise my Standards Based Grading plan of attack but have not come to any final conclusions regarding that topic. I am hoping to get some ideas while chatting with others next week at TMC14. Much has been said and written about formative assessment and its implementation in the classroom. One of the big buzzes right now is the use of exit tickets as a means of determining what your student do (or do not) know at the end of a class period. In the past I have had good intentions of making this a practice, but never seemed to ACTUALLY make it work. Much of that is due to a lack of intentional planning. To help me combat that I thought it might be helpful to have a few “stand-by” options ready to use on a whim. This is my #madeformath submission for this week. It isn’t anything elaborate, but I think am hoping it will make my life a bit easier this year. 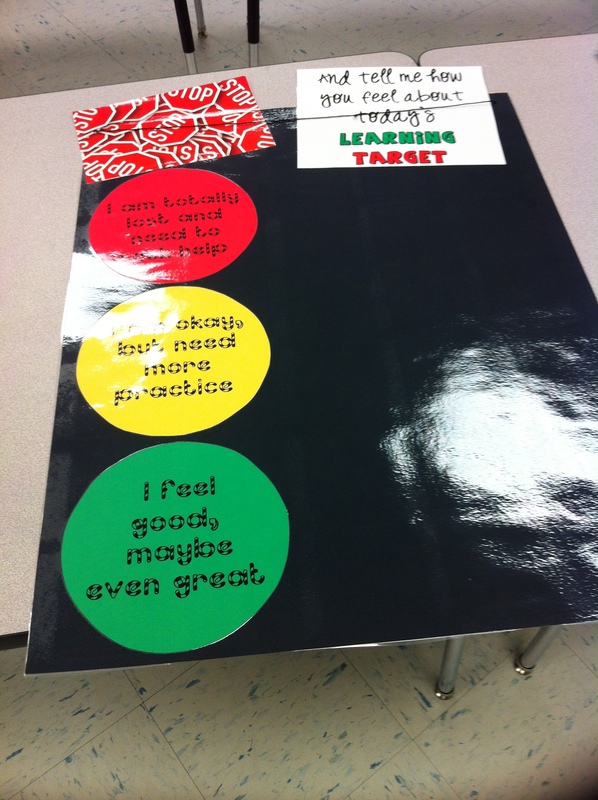 I took five end-of-class generic prompts and used posterboard to make signs that I can access quickly. 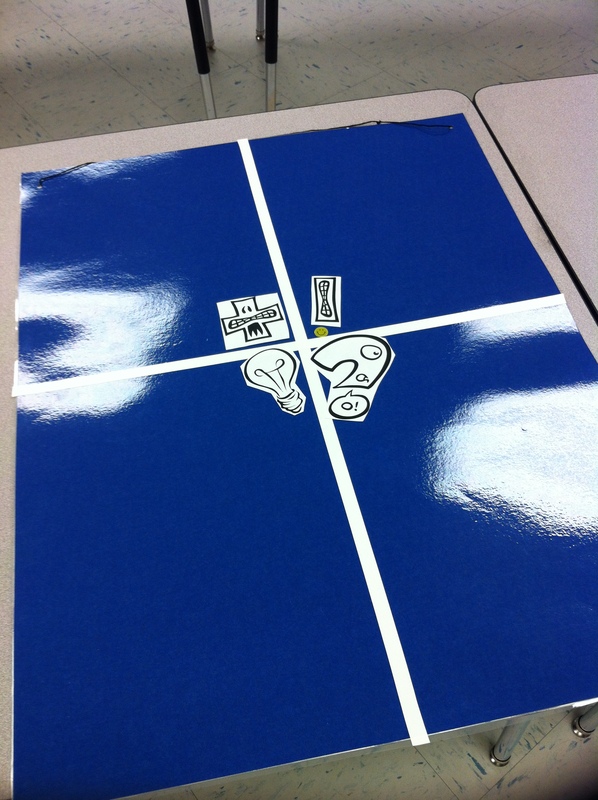 Students can simply put their answer to a prompt on a post-it note and stick it on the poster on the way out the door. In addition to be ready to use with very little forethought, it also makes it easier to review the responses at the end of the day instead of trying to peruse them and get them out of the way before the next class comes in. I have punched holes at the top of each poster and, when school starts up, will put them on rings to hang either on the door or bulletin board. All I need to do now is prepare a prompt and stock up on a supply of post it notes. Students can simply write their name (if you desire) on a post-it note and indicate they feel about the learning target for that day. I think I originally saw a version of this on Pinterest. Each student is assigned a number and given a post-it note. They put their answer to the prompt on the space that corresponds to the number they are assigned. This should allow me to see more specifically who has a good understanding of the content and allow for effective grouping as necessary. 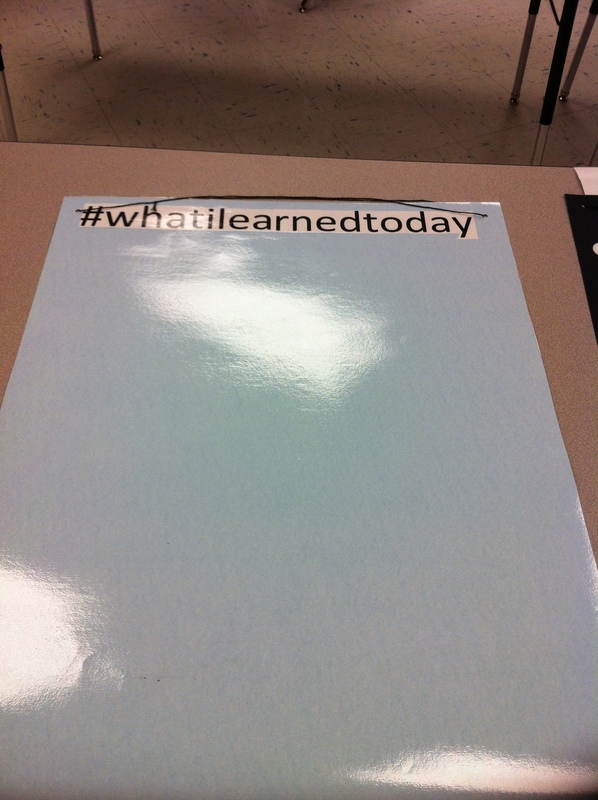 This simply asks students to create a twitter post that would be appropriate for the hastag #whatilearnedtoday. 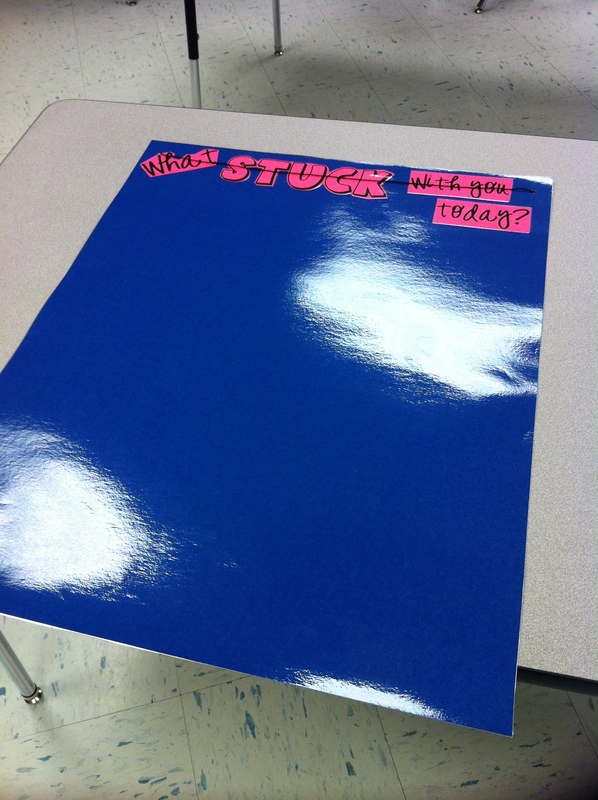 This simply asks students to consider the lesson and identify one thing that “stuck” with them. I am hoping I will be able to see if my goals for the day were translated effectively so that what stuck with the students was what I intended. As I worked on planning my first unit I have already found myself constantly thinking “what question or prompt can I pose that will assess the learning for that day?” I am hopeful that having these posters will keep formative assessment in the foreground of my planning. This is awesome! I teach in multiple classrooms so I could definitely see having these and thing bring one to class if I need to use it….or even just store them in the rooms so it doesn’t always have to be out taking up space. These are so cool! Thanks for sharing and getting me thinking. I had not even thought about the portability of this. I hope it works for you as a traveling teacher. One thought..I’ve noticed that some of the cheaper Post-it notes don’t stick to the laminated posterboard very well. You might carry an extra posterboard to place on top of the responses so they stay put. Let me know how it goes for you. Did you go to a place and get them laminated yourself? I didn’t even realize they were laminated…I will keep that in mind about the post-it notes. Thanks! I will have to let you know what I come up with and how I use them this year. My school library laminates for us. I’m betting a teachers store or office store could do it for you. Of course, you could use them un-laminated. 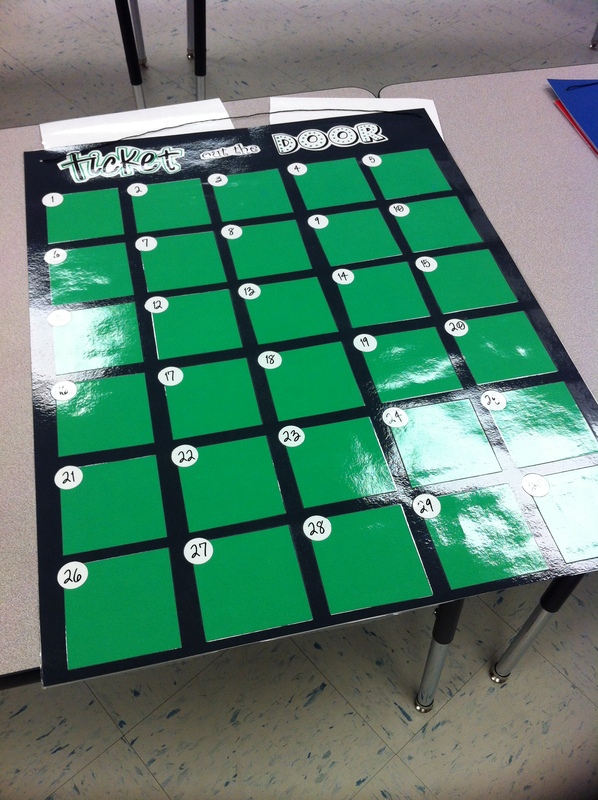 Wondering now that 1 semester has passed how these “out the door” assessments worked for you?